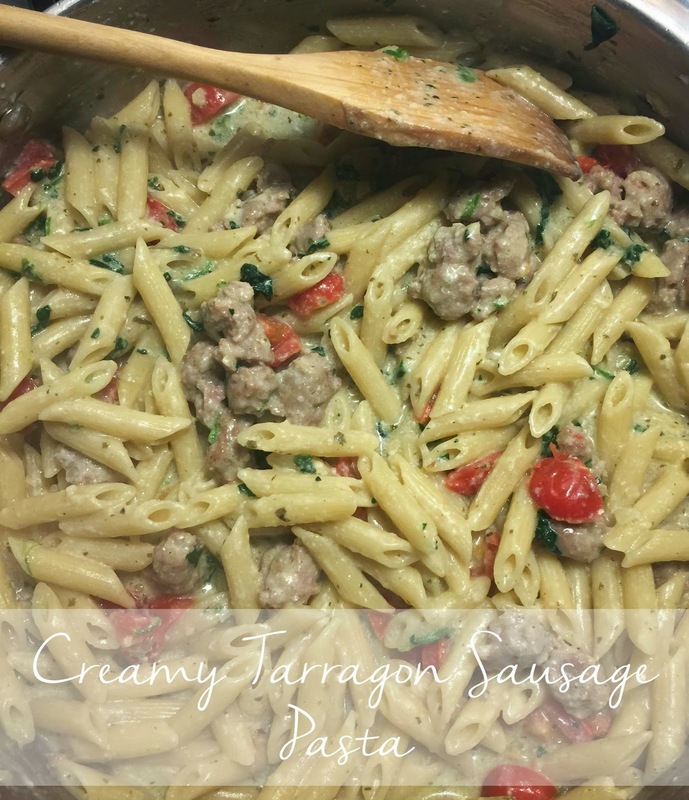 Simply Anchored: Creamy Tarragon & Sausage Pasta! Creamy Tarragon & Sausage Pasta! I love pasta. Everything about pasta. Unfortunately, pasta loves me. It loves to hug my hips, my belly and my inner thighs. Over the past year or so I have really cut back on my pasta consumption, so when I do make pasta I make sure that it is a mouth watering kinda meal. I remember the first time I had ever had tarragon. My mother and I were sitting in a small bistro in Paris and we ordered a poulet dish off the menu since I knew poulet = chicken. After a few moments of silence with our poutlet masterpiece that was set in front of us my mother started to dissect the flavors. The first one was tarragon. It had such a distinct flavor that I had never encountered before. But my word, it was one that I would never forget. I dream about that juicy poulet tarragon dish often. 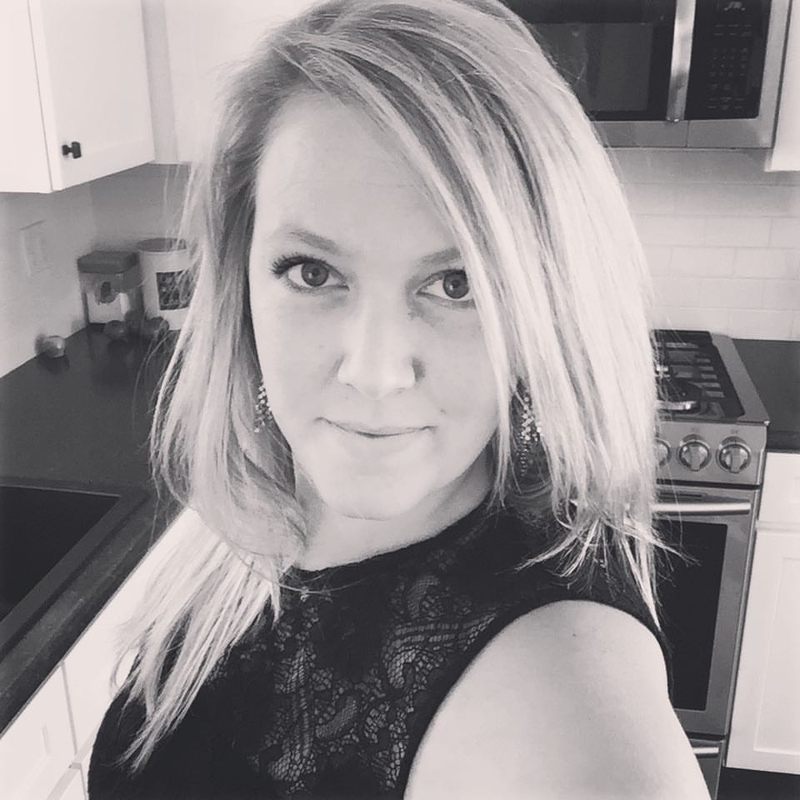 Since I have taken to cooking lately I have been looking for ways to incorporate that delicious herb into a yummy dish that was somewhat reminiscent of that fine French cuisine. So here it is. My locally raised sausage, tarragon, veggies, and a yummy cream sauce. Drool over the photo then scroll right on down and take a peek at the recipe! Add the tarragon to the cooked sausage then remove and place in the bowl with the garlic and onions. Turn down the pan to medium heat and in the pan drippings from the sausage, add the flour and stir, slowly adding 1/2 the milk (1/2 cup). This will make a roux and is what will thicken the sauce. Continue stirring until it starts to thicken then add onions, garlic, and sausage. Mix all together then add the rest of the milk, bringing the heat down to low. Stirring every few minutes, let the sauce thicken until the pasta is done. Drain pasta and mix in with the sausage. Once you are ready to serve, add the tomatoes and spinach. The spinach will wilt fast and the tomatoes will soften quickly, so add it last so it doesn't get mushy. This will make enough for about 8 people!